Another data bundle for internet surfers, The Airtel 750MB vs MTN 750MB Internet Data Bundle At N500 For 2 Week and 1 Week respectively . To subscribe for the Airtel 750MB Data for 14 days, simply dial *141#, select the Buy Data Option by selecting the number allocated to it then press send. Next select the Monthly/Weekly/Daily option and press send again. 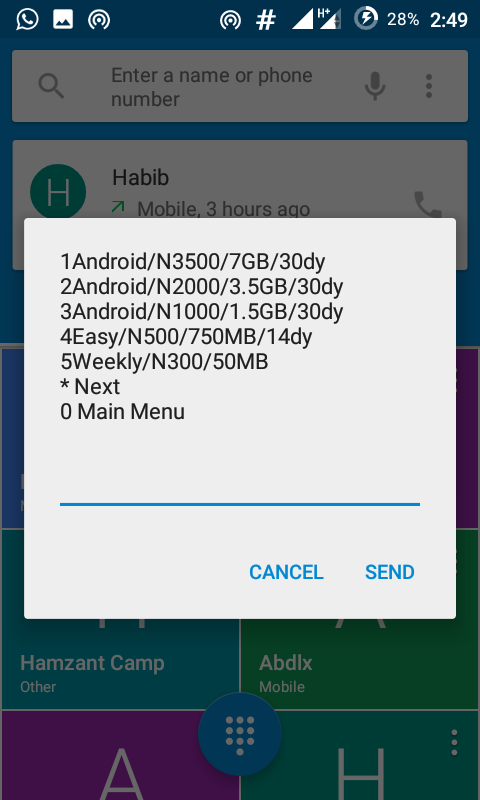 Next, locate the Easy/N500/750MB/14dy option and press send again. 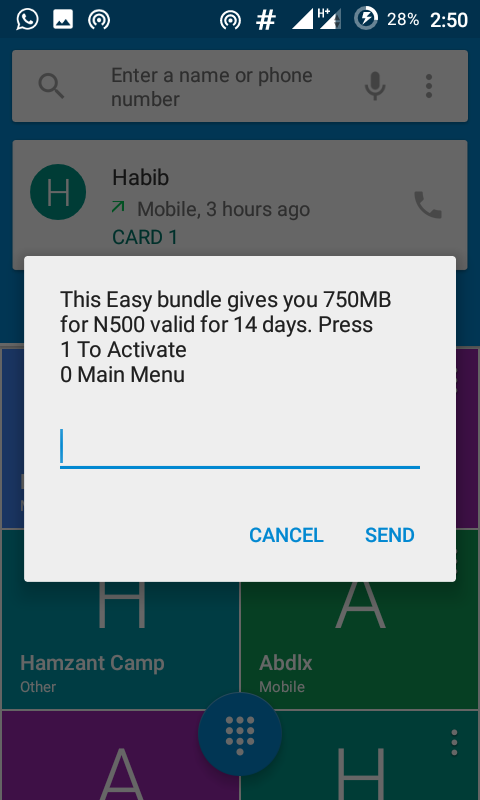 This will take you to an activation menu, where you activate the bundle for 500 Naira. To check your balance dial *140# or use *141# and select the check Bundle option. The Airtel 750MB for 500 Naira internet data subscription lasts for 2 weeks. You can use it also on other devices like your laptops or desktops using USB tethering or Wireless Hotspot. Send 103 to 131 under your device message or dial *131*103# to Check balance use the *131# option and select the check data option. Last for 7 days and you get 750MB for 500 Naira. You can also use the data to access internet on other devices by either using USB Tethering or Creating a Secure Wireless Hotspot Connection.